The summer is coming up soon so let's talk about summer collections shall we? The Chanel one is one of the few that I was excited about and the collection is called 'l'Eté Papillon' collection ﻿which basically means 'the Butterfly collection'. 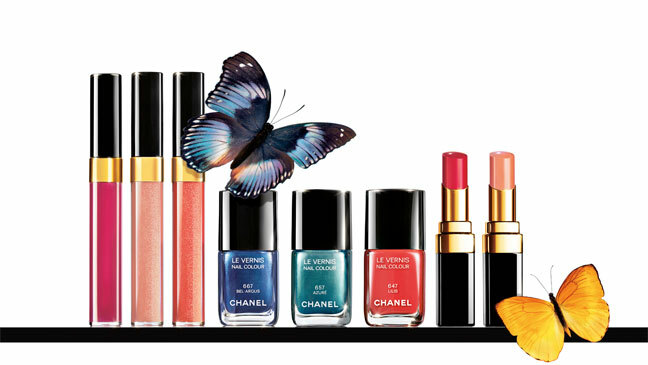 And if you take a look at the collection, the name would make a lot of sense because of the bright summery colours that very much remind me of the colours of a butterfly. 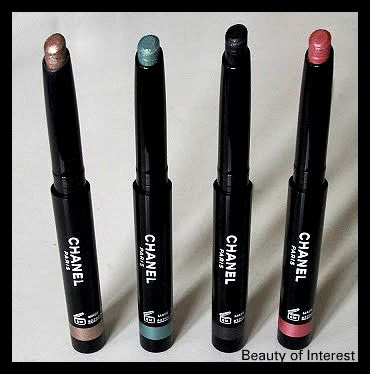 Besides the usual lipglosses, nailpolishes and lipsticks Chanel came out with something new for this summer and they are the eyeshadow sticks (or crayons as I would like to call them) which was the main reason I have been eyeing this collection. 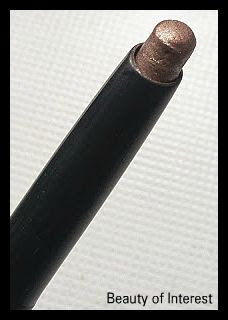 Personally I love eyeshadow stick and some of my favorites are the By Terry Ombre Blackstars, Kiko eyeshadow sticks and the one made by Topshop are very nice and are quite simular to the By Terry ones (for those who are looking for a cheaper and more accessible alternative). 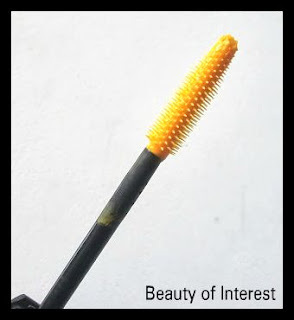 Another eyecatcher in this collection are the coloured Inimitable mascaras to complete the butterfly look this summer. So needless to say that my main focus is on the eyeshadow crayons and I got 4 of them. 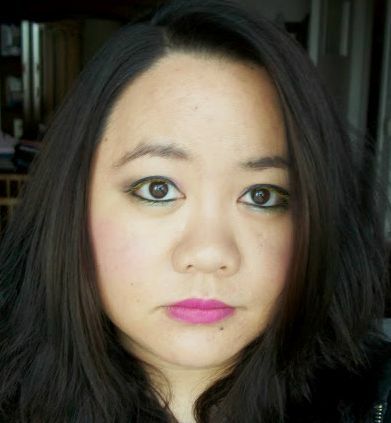 To my surprise when I was playing with the mascaras I found it to be very pigmented and easy to apply. 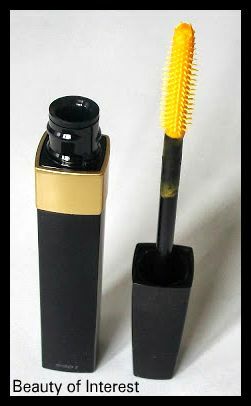 So I decided to give one a try and purchased the yellow mascara as well. 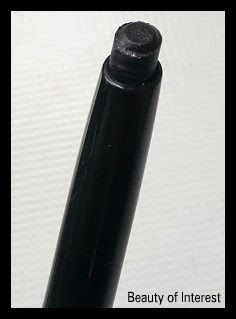 The texture of the Chanel eyeshadow sticks is creamy, pigmented, quite shimmery and glides over your eyelid when you applied but they are not as buttery soft like the By Terry Ombre Blackstars. 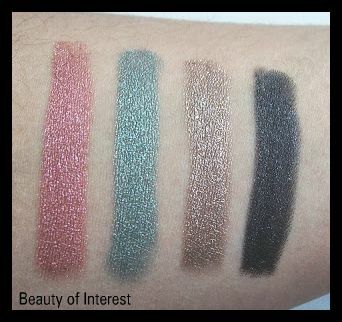 They also contain a lot of shimmer in them but I haven't experienced any fallout so far (but I do suggest to use a good eye primer underneath). 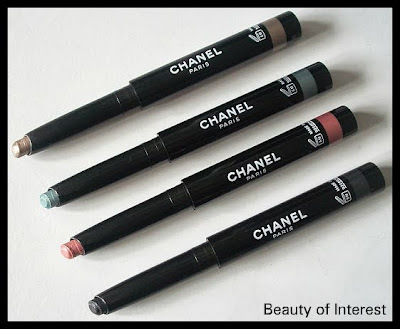 In terms of shades the Chanel ones are definitely more complex but the shade range is quite limited (only 6 colours in total) compared to the Kiko or By Terry eyeshadow sticks. 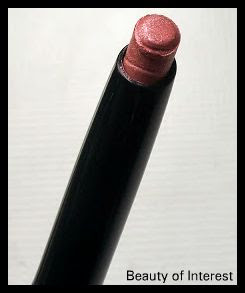 The first one I got is called Pink Lagoon and as the name says, it's a cool bright vivid pink. 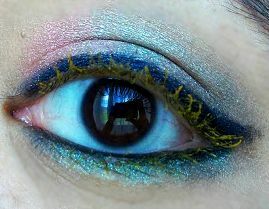 Perfect for an easy wash on the eyelid when you have to run out the door in the morning. 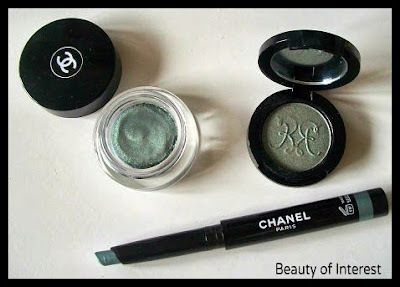 This collection wouldn't be called the Butterfly if there wasn't a green shade so Chanel created Jade Shore. 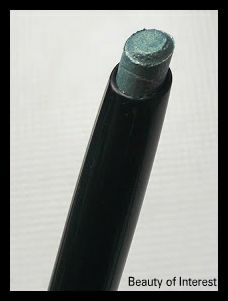 A mint green colour for a pop of colour during the hot summer days. Chanel didn't forget those who love neutral colours to wear everyday to work so Moon River will fulfill that purpose without any issues. A gorgeous taupe with a hint of silvery shimmers in it will compliment any eye colour. Last shade I bought is the black one and it's called Black Stream. It looks scary in the tube but the shimmers in them makes Black Stream a perfect shade to use as a base underneath another eyeshadow colour or as a simpel eyeliner that you can easily smudge out for a more natural effect. 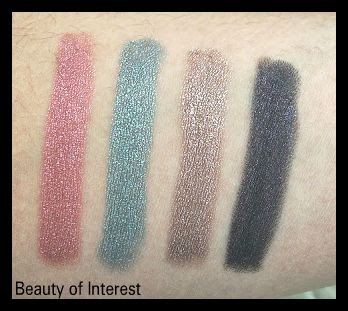 Here are the swatches that I took side by side but the pictures don't do the shades justice to be honest. 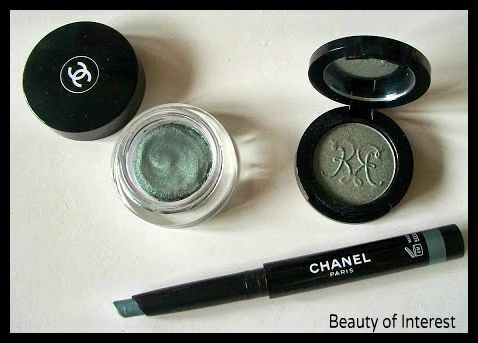 Some people have noticed that Jade Shore is quite simular to Rouge Bunny Rouge 'Periwinkle Cardinal' and some have also wondered if it was any different from the Chanel Illusion d'Ombre in Rivière (which was an Asia exclusive shade from last year). 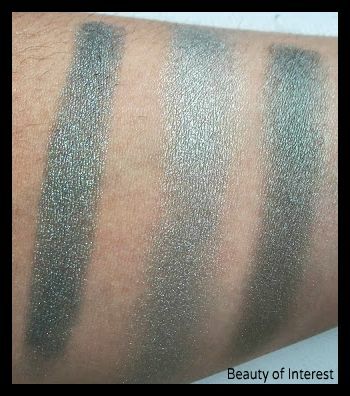 Since I own both of these, I swatched it side by side to see if they were identical and I'm pleased to say that all 3 of them are different enough to not be called dupes of one another. Rivière is lighter and cooler while Periwinkle Cardinal is a tad darker compared to Jade Shore. 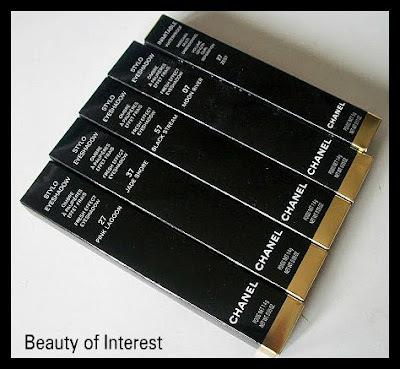 The yellow Chanel Inimitable mascara is called 'Zest' and was quite easy to apply mainly because of the wand that is made from rubber and is designed to give your lashes volume and seperates them at the same time. A quick look that I did using all 4 of the Chanel eyeshadow crayons and the yellow Inimitable mascara. The Chanel eyeshadow crayons (limited edition) retail for $34 USD / 28 EUR each and the Inimitable mascara for $30 USD / 28 EUR and can be purchased an any Chanel counter or online at the Chanel site.